“At six, he is too old to not be here,” Fatima, the mother of a child named Ali whom she took to a rally in Beirut, Lebanon, against the West, organized by the Shia militia Hezbollah, told Germany’s Deutsche Welle (DW). 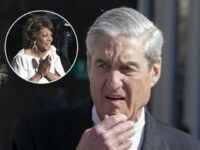 She was reportedly pushing a stroller that carried Ali’s baby brother as she told the DW that her six-year-old was at the “the right age to learn” how to hate Westerners. “America helps Israel regularly and imposes war on us and now the Satan wants to give our mosque to the Jews,” Fatima reportedly said. “Jews and Americans are my enemy,” Ali told the DW, as he reportedly looked up at his mother for confirmation. The rally they were attending was reportedly in opposition to President Donald Trump and to protest his historic recognition of Jerusalem as Israel’s eternal capital. A group of young boys, who consider themselves “Hezbollah’s boy scouts,” were also at the rally. They reportedly wore badges of Iran’s late Ayatollah Ruhollah Khomeini, the leader of the revolution that the Islamic Republic has made its lifeblood. Iran is known to support Hezbollah. 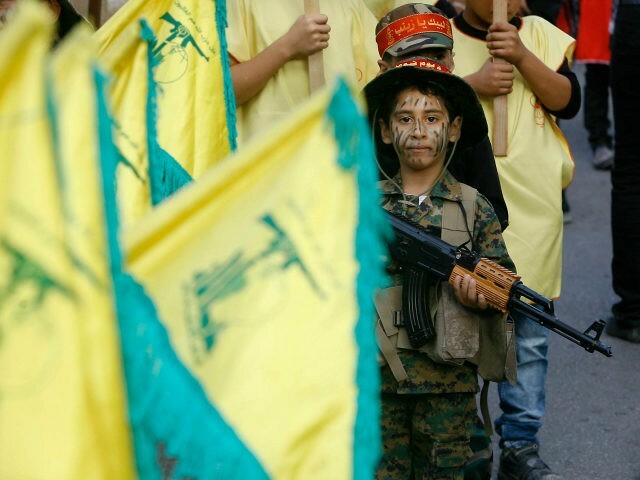 “We all want to fight for Hezbollah one day, Inshallah,” a young boy named Abbas reportedly said. Currently, thousands of child soldiers are serving in armed conflicts throughout the world. The use of child soldiers violates international conventions. Despite claiming to be party to these conventions, Iran has used child soldiers. Last month, Iranian state-run television showcased a 13-year-old sent to Syria to fight for dictator Bashar al-Assad, allegedly under the guidance of Iran’s IRGC Quds Forces General Qasem Soleimani. From an early age, these children are at the mercy of their parents and teachers as their sole providers of knowledge and information. However, not all brainwashed children grow up to hold the same beliefs they were force-fed. The DW notes that Ziad, a veteran of Lebanon’s 16-year civil war, recalled how he was indoctrinated as a child soldier and compared these abused youth to Hitler’s Youth of World War II. “Whether Hezbollah, Israelis or Americans, they are indoctrinating the children when young to turn them into killing machines,” Ziad told the DW. He reportedly also said he wished he could have his teenage years back. Read the entire story on the DW here.